Are you about to start a WordPress blog & to look for a reliable & cheap hosting? When you search for cheap WordPress hosting, you will be bombarded with tons of options. The funny thing is, all the hosting offering looks the same & you get to know the real quality of hosting when you are already on board. You are wise here to research about the web-hosting company before hosting your WordPress site with them. In this guide, I will help you to understand all the important things you need to know before buying a hosting package for your upcoming WordPress blog. From my seven years of experience, I will also suggest few cheap & best WordPress hosting which will be good enough for your new blog. One important thing that you should know is: A shared hosting is good enough for your new WordPress blog. If you end up buying VPS or dedicated hosting from day one, you will end up paying a lot & it’s not recommended. Rather, you should start your blog on shared hosting & when your traffic increases, you can upgrade to VPS, dedicated or managed WordPress hosting. This is one secret which no one would tell you & I discovered it the hard way. Most of the hosting companies will offer unlimited resource such as bandwidth, storage. Do remember, in this world nothing could be truly unlimited. Though the good news is, the amount of resources that you would get in unlimited is relatively so high that you would feel you have unlimited resources. I urge you to be fair with all the hosting companies where you are hosting your site & you will have no problem. Below you can find a list of cheap web hosting for WordPress, which is tested & proven itself numerous time. These are the hosting companies I have experienced for my sites & they offer world-class service at an affordable price. Bluehost hosting is recommended by official WordPress hosting page. Bluehost offers custom cPanel & their user-friendly interface makes it easy to manage your hosting. Like InmotionHosting, Bluehost also offers one free domain name with hosting purchase. 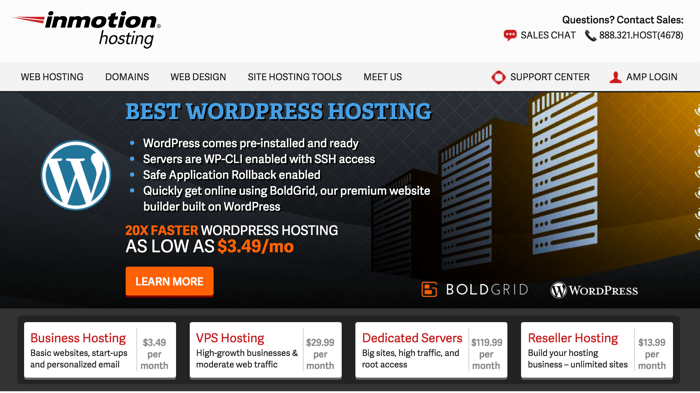 They are one of the fastest hosting for WordPress. I would suggest to grab a plus package from Bluehost for your site & use their one click installer to create your first WordPress blog. This should hardly take about 5 minutes. If you are from U.S. & looking for a web hosting company which is based out of U.S.A, Inmotion Hosting is going to be your best bet. They are 15-year-old Los Angeles-based company. Inmotion hosting offers all types of hosting & for your new WordPress blog, you should get their Power plan in shared hosting. Inmotion hosting offers a free domain with every hosting purchase & in case you have already purchased a domain name, you can renew it for free using their domain promo. 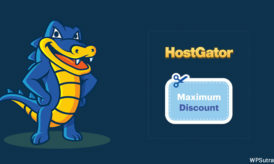 Hostgator is a top name in the Web-hosting industry & part of EIG group. Hostgator has their base in U.S., India & China. They offer shared hosting, VPS hosting, Dedicated hosting, Reseller hosting & optimized WordPress hosting. 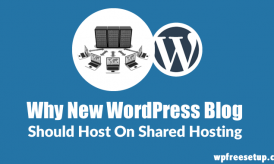 For a new WordPress site, you can host your site on their shared hosting. I would recommend Baby plan which offers unlimited hosting space & bandwidth. I’m hosting few of my sites with them & had no issues so far. Their hardware quality is top-notch & they offer support via the various medium. If speaking English is not a problem for you, I would recommend you to give them a call whenever you need any support. 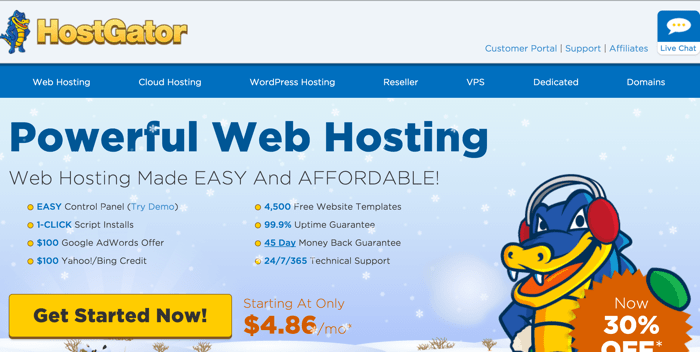 You can use the link below & coupon to save 30% on Hostgator hosting. If you are building a business website or a WordPress site for your company, I would suggest buy hosting from managed WordPress hosting. I could recommend Flywheel or Kinsta for the same. They are certainly not cheap, but you will have complete peace of mind. 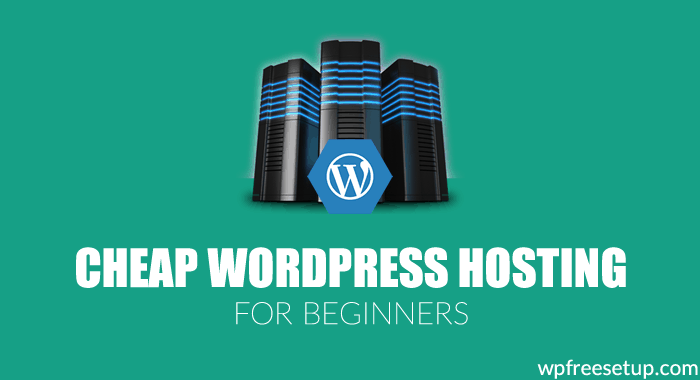 For a beginner blogger or hobby blogger, you can buy hosting from any of the above three recommended cheap WordPress hosting companies. thanks harsh for the information, am looking to go with bluehost what you recommend is (bluehost.in) is better or (bluehost.com) does both as same functioning please reply.. I need help in choosing a domain name……I have different ideas of names but I feel it’s not perfect. That’s had been my challenge. I really wana’ start Blogging here in Nigeria because it’s a very free space that need to be occupied. Lots of nigerians do have wapka sites, blogs but non of them know anything about its basics and seo etc. They just go around copying random stuffs and posting crap that doesn’t even pertain to their niche. Most of them are focused on only news which they copy from other blogs/ newspaper. I know alot about Blogging and I love the general Blogging ideas and Platform. Be it Blogger or WordPress. All I need is what type of name can I choose to suit my NICHE which is BLOGGING and TECH related. I have not been able to settle for a Domain name. I’m currently using a bluehost multidomain webhosting. I bought it from Coupon code. I want to know is there any coupon codes for Renewal of BlueHost account. There is no discount for renewals. I am daily reader of your Award Winning Blog, ShoutMeLoud and i gained so much knowledge from it and i am operating my own tech blog. You should look at high end hosting like WPEngine or Kinsta hosting. 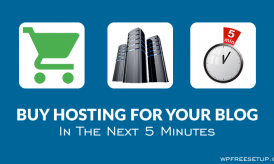 Especially if you are making a decent income, these hosting will take care of your needs. Just a side advice, make sure to use Cloudflare as it would block spam bots from browsing your site & it would reduce your server bandwidth. Harsh, How about siteground Hosting for WP Blog audience mainly in India or NRIs in US/UK. How is their tariff plan , set up and service? Great to hear that & looking forward to hear more from you. I am using Bluehost since last one year which is good and customer care also supportive. But in future if Bluehost is more cost and no discount then can we take other host with same name?